We are officially done with the first trimester! Yay! Things are still going well. This past weekend we started telling more people and now pretty much everyone knows or will soon with the way the grapevine works. 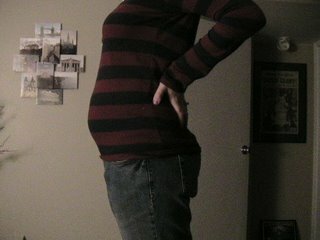 People didn't believe me that I have a bump already so here is some proof. In my defense remember there are two babies and two placentas. What's a girl to do? 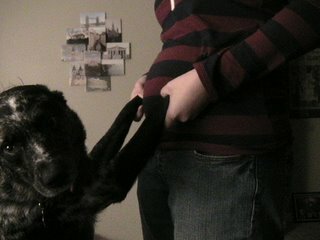 Sydney is getting excited to be a big sis! Okay really I think she is in denial. Your bump is a lot cuter than my bump. Your bump your bump, your lovely lady bump...check it out!